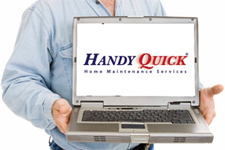 Handyman Services Request MN Whenever you need expert, professional home repair, maintenance, remodeling or other services at your home, our network of highly trained, experienced professionals in all trades is ready to help. From our Woodbury office, we’ll schedule work at your convenience and will always provide an accurate cost estimate before beginning work. Our rates are highly competitive, and our performance will always meet your high standards. We offer the complete range of home services for plumbing, electrical, heating and air conditioning, interior and exterior painting, decks and patios, windows and doors, lawn care, appliances, carpet cleaning, air duct cleaning, garage doors, roofs, gutters and much more. Contact us with any question, or to schedule a service call at a time convenient to you.